Keep an eye on this website and my Facebook page for future workshop opportunities or join my email list to be notified. I have teamed up with the Conservancy for Healing and Heritage in Franklin for the following MIND BODY HEALTH stress management workshops. You need to register for these workshops through the Conservancy (info below). Warning: Attending these workshops can improve your mental well-being and enjoyment in life! Is your life getting too serious for you? Do you want to start feeling happy again? If so, join me for Cultivating Happiness Within workshop that is sure to help you shift your thoughts from seriousness to lightheartedness and ease your stress. You will learn practical stress management skills, which you can immediately incorporate into your lifestyle so you can enjoy your life to its fullest. Grab a friend and join us! Where: At the Conservancy for Healing and Heritage, a hidden gem in nature, on 74th and W. Rawson Ave. in Franklin. DIRECTIONS: Drive to the end of the Ascension/Reiman Cancer Center parking lot. The path to the healing chapel is on the right. Please bring exact change or make check payable to Conservancy for Healing and Heritage. Registration is Required! This monthly group is for individuals who want to grow their inner strengths and resilience in order to live life to its fullest. It’s an opportunity for you to gather with other individuals to receive support, information and resources as you navigate life’s challenges. Where: Reiman Healing Chapel is at the Conservancy for Healing & Heritage, a hidden gem surrounded by nature in Franklin, WI. Pull into the parking lot of the Ascension Medical Building (74th and Rawson Avenue) and drive to the far end of the lot, straight ahead. Signs will point you in the right direction. Fee: $25 per meeting. Please bring exact cash. Are you ready to learn Reiki? Next Reiki Level 1 Training: To be determined. Have interest? Contact me and we will schedule a training time that works for you. Private trainings in the privacy of your own home are also available. Why learn Reiki? Tap here. ​$175 per person includes manual, Reiki certificate, and on-going mentoring, as needed. Grab a friend and have fun learning together. 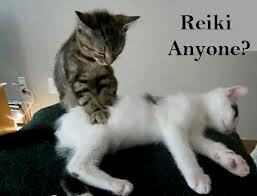 Everyone can benefit from learning Reiki! Interested, but can’t attend these workshops? Let me know about your interest! ​This will help me plan future workshops. Private workshops and trainings are also available. What workshop subjects interest you?